Roundhouse Faithful we have done it! We have been open for a little more then a month and this train is picking up speed. We have started expanding out to area restaurants and will soon have 10 different beers in our tap room. Can you believe it? Any more beers on tap and I would have to take off my shoes to count them all. So next time you are out enjoying dinner, keep an eye out for the Roundhouse Tap handles. We got ourselves a real sign! For now we are at the bottom but soon we will claw our way to the top! We will rule the NP Center and the other tenants will bow down before us. (Sorry about that, those were the voices in my head talking). 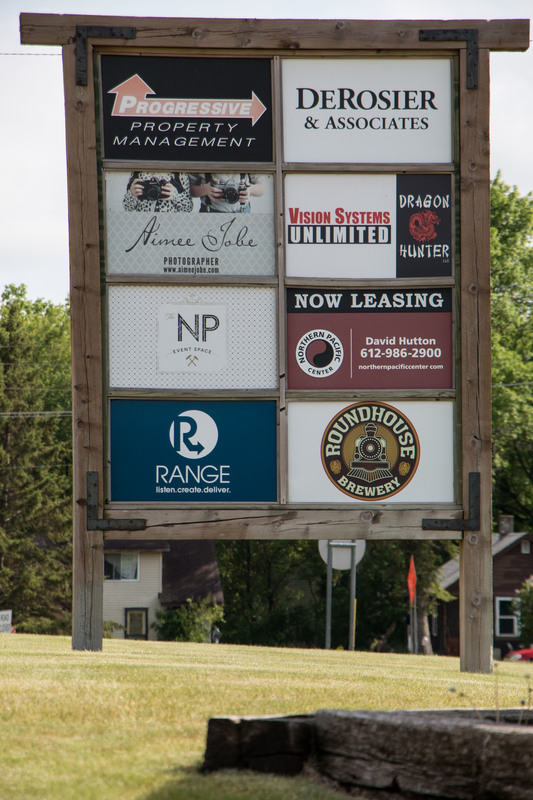 Yummy, Yummy, Roundhouse beer can be found at these fine establishments. 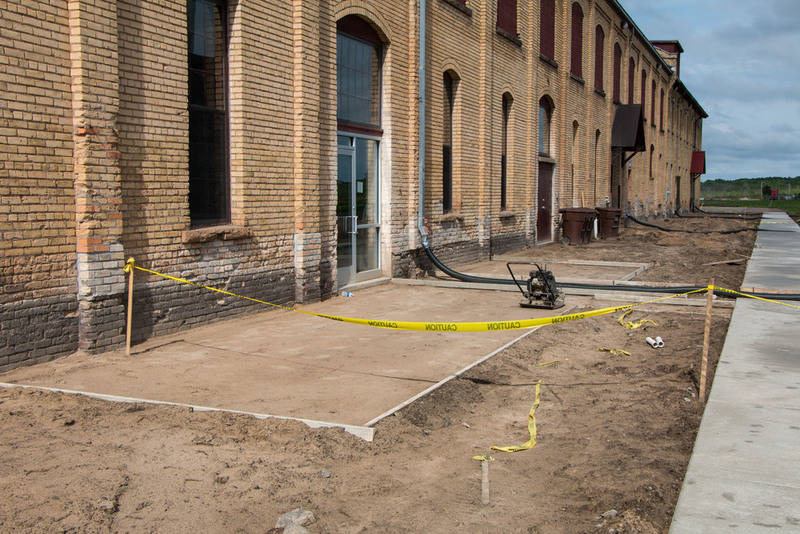 The Roundhouse sandbox will soon be filled in with cement to make our new patio. We also have a sidewalk and soon to be paved parking lot. And then, finally, what all you lycra wearing fitness freaks have been demanding, a bike rack. This is a picture of Roundhouse investor Tim (left), and his totally platonic friend Glebe. 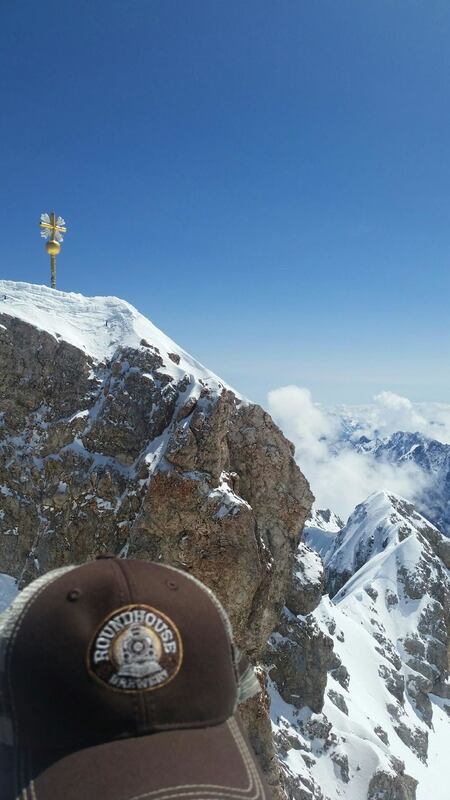 Tim lives in Utah and has been talking about helping out at the brewery somehow. 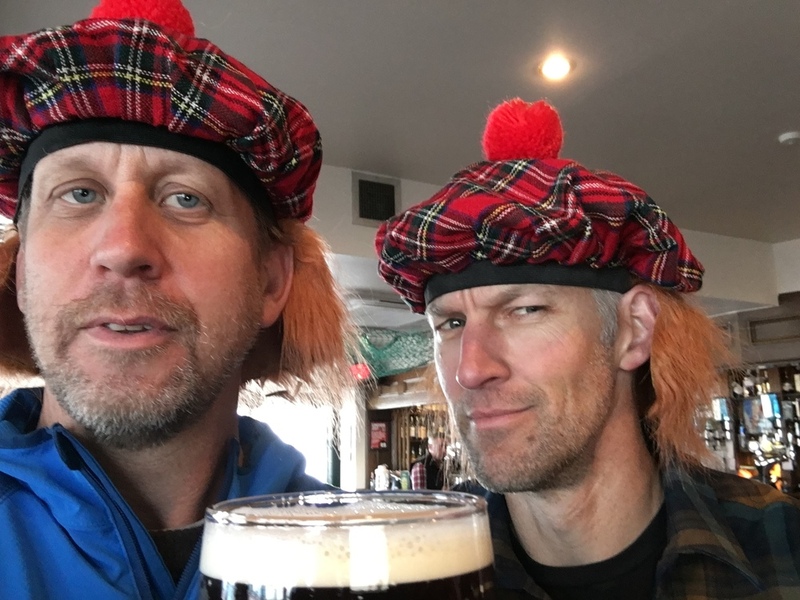 So he went to Scotland to drink beer and ride mountain bikes. Wait, what! How the hell does that work. I don’t think that helps us at all. This bloke is a descendent of William Wallace. 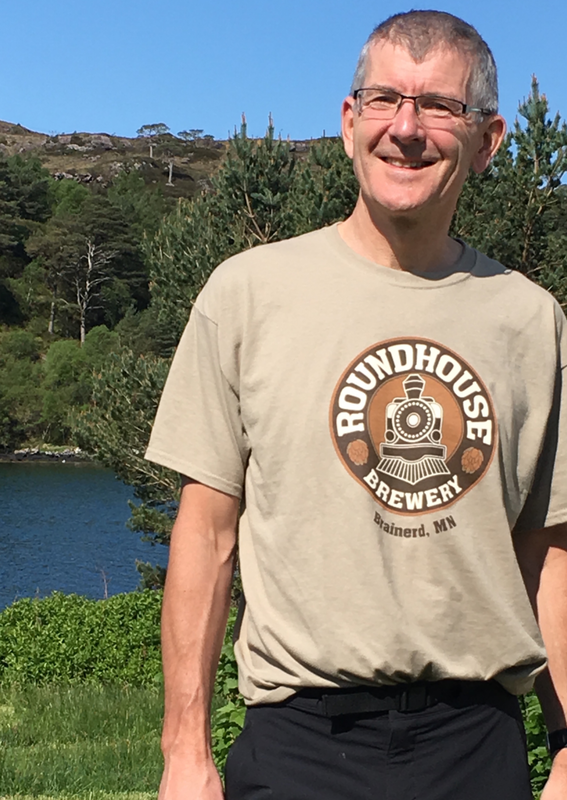 He demanded some Roundhouse Swag from Tim to ride in the mountains of Scotland. There is only one thing the Wallace clan likes more then freedom, and that is Roundhouse beer. (I think that is what Tim told me).